To claim this profile, please confirm you are Bryanna Birge. To follow this profile, please let us know your relationship to Bryanna Birge. Bryanna was selected the Player of the Game in the basketball game against Bonney Lake on Fri, Dec 14 2018. Bryanna Birge scored 12 points and pulled down 7 rebounds. 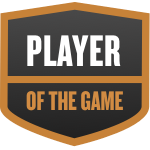 Bryanna was selected the Player of the Game in the basketball game against Mount Tahoma on Fri, Jan 11 2019. Bryanna Birge scored 14 points, pulled down 8 rebounds, had two steals and 3 blocks in the win against Mount Tahoma. Bryanna's basketball stats have been updated for the loss vs. Kelso. RESULTLoss Girls varsity basketball vs. Kelso. The Wilson varsity basketball team lost Thursday's neutral playoff game against Kelso (WA) by a score of 60-47. Bryanna's basketball stats have been updated for the loss @ Peninsula. The Wilson varsity basketball team lost Wednesday's away playoff game against Peninsula (Gig Harbor, WA) by a score of 69-65. Bryanna's basketball stats have been updated for the win vs. North Thurston. RESULTWin Girls varsity basketball vs. North Thurston. The Wilson varsity basketball team won Thursday's home playoff game against North Thurston (Lacey, WA) by a score of 59-57. Bryanna's basketball stats have been updated for the loss @ Lincoln. RESULTLoss Girls varsity basketball @ Lincoln. The Wilson varsity basketball team lost Thursday's away conference game against Lincoln (Tacoma, WA) by a score of 68-40. Bryanna's basketball stats have been updated for the win vs. Spanaway Lake. RESULTWin Girls varsity basketball vs. Spanaway Lake. The Wilson varsity basketball team won Tuesday's home conference game against Spanaway Lake (Spanaway, WA) by a score of 70-49. Bryanna's basketball stats have been updated for the loss vs. Bethel. RESULTLoss Girls varsity basketball vs. Bethel. The Wilson varsity basketball team lost Friday's home conference game against Bethel (Spanaway, WA) by a score of 64-51. Bryanna's basketball stats have been updated for the win vs. Bonney Lake. RESULTWin Girls varsity basketball vs. Bonney Lake. The Wilson varsity basketball team won Wednesday's home conference game against Bonney Lake (WA) by a score of 56-52. Bryanna's basketball stats have been updated for the win vs. Lakes. RESULTWin Girls varsity basketball vs. Lakes. The Wilson varsity basketball team won Friday's home conference game against Lakes (Lakewood, WA) by a score of 57-56. Bryanna's basketball stats have been updated for the win @ Stadium.